Over the years, body armor and weaponry have improved. 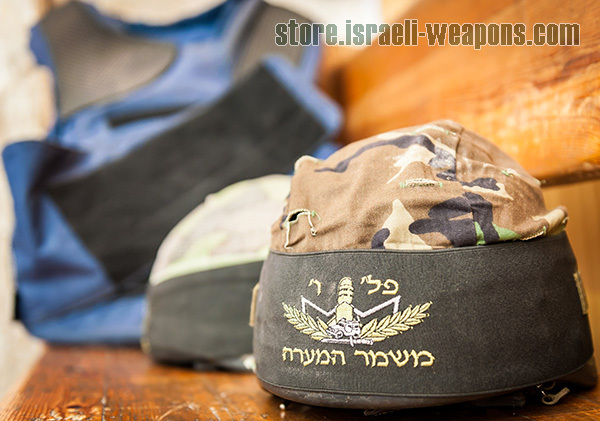 Helmets have evolved through the centuries, and they are still used in modern warfare as in IDF service. And to protect its troops, the IDF provides them with bulletproof vests. The helmets are available in various styles, depending on their mission. The Israel Defense Forces utilize the OR-201 helmet, which they have developed. The helmet is also used by other military forces of the world that include Chile, Egypt, Honduras, Mexico, Peru, Sri Lanka, Venezuela, South Africa, Portugal, Palestine, Lebanon, Guatemala, Ghana, Ecuador and Romania, just to name a few. The MPC-1 helmet is a derivative of the IDF ballistic helmet. Bullet proof helmet is made for one purpose, and that is to protect the head of the person wearing it. But when it comes to the design, there are several types of helmets, and they differ in the way they protect the head. There are some bulletproof helmets that have ballistic visors that protect the entire face and head while there are some that only cover the head. There are also some helmets used by the IDF that has a riot face shield. It is used when controlling crowds or in a riot situation. A ballistic helmet is also used in special operations. They sometimes come with an accessory rail that is used to add items to the helmet such as flashlight, camera or night vision. Straps and padding of the bullet proof helmet are important. They make the helmet feel more comfortable for the wearer. The straps ensure that the helmet is kept in place while doing military duties or during combat. The padding is an essential element of bulletproof helmets. The helmet comes with a customizable padding system that can be adjusted based on personal preferences. It is important to ensure that the helmet is snugly in place and comfortable before heading out to the field. Bulletproof helmets used by the IDF may or may not have accessories attached to, IDF also use helmet cover for camouflage. The type of accessory depends on the where the soldier is assigned to. A helmet with face shield is often used by members of a police with demonstrators. The face shield prevents liquids and debris from getting to their face and in their eyes. Helmets can also be fitted with gas masks that can protect against chemical weapons. There are bullet proof helmets that have accessory rails for mounting flaslight. Just like the bulletproof vest, a bulletproof helmet can save lives. Made of Kevlar instead of steel, it offers improved weight and ballistic protection. It also provides protection against head trauma and injuries due to blasts. Through time, technology improves, and we see bulletproof helmets that are more lightweight and provide better protection.